web hosting Matters when you run websites and StableHost handles such Matters effectively :). 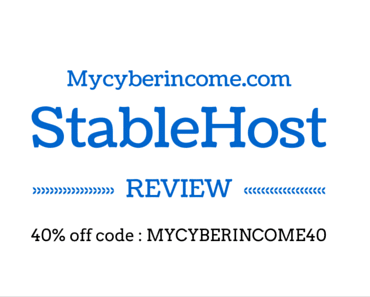 You can Check my Genuine StableHost review and grab a sweet 40% off Promo code from bloggingio.com. 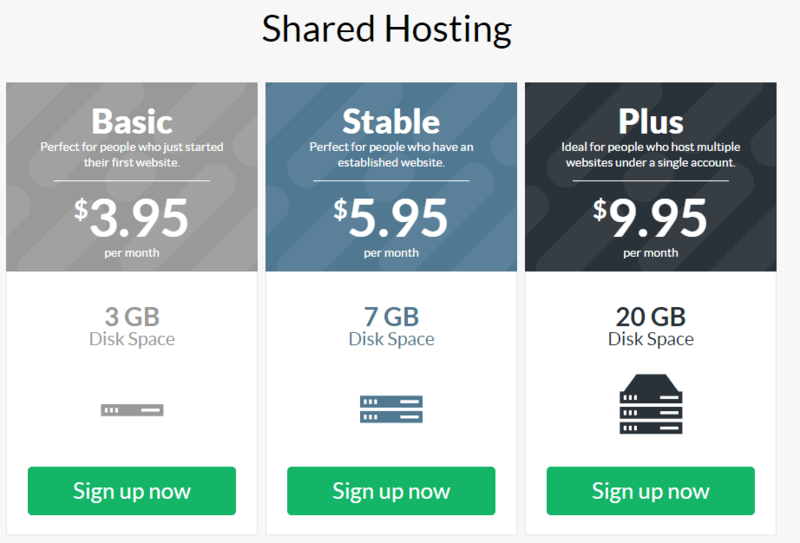 Though Stablehost is not one of the Fastest Web Hosting Services you can still try them since the prices are more affordable. 4.3 #3 Use code kickstart19 and get 40% OFF on final Price. Check the below screenshot for proof. Later on, I visited their official site and I'm really impressed. The team has only 10 people while writing this post. All their servers consist of 32GB of RAM, Dual E5 CPUs, SSD drives and RAID-10. Some Top Hosting asks you $100 and they don't have SSD Drives with them. one should understand that SSD Drives acts 10 times faster than Normal Drives. I feel really blessed to Host my website with them. The company offers the following services. As I have already discussed them earlier it improves your site loading time by 10 times. You're free to use unlimited Bandwidth on all types of plans.I didn't get any bandwidth problem till date. They use advanced Litespeed's PHP module, which is 9 times faster than the other web hosting providers. Now Offers Unlimited Hosting that Mean Unlimited Space + Unlimited Bandwidth + Unlimited domains allowed. Earlier they have three types of plans which varies according to disk space. But Now you're free to choose from their latest plans which are shown below. Suitable for ~215,000 monthly visitors. 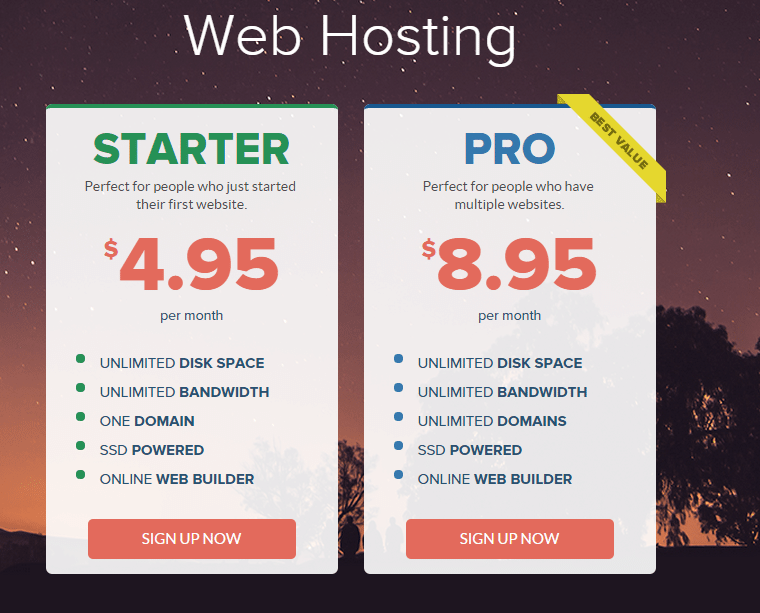 You can also buy their old shared web hosting plan if you wish. There are three types of shared web hosting plans with them. The only variations they show is Disk Space. Though Many Pro Hosting Companies claim unlimited DiskSpace they later ask you to move on VPS.since stable host is transparent, they showed the real values of Disk space. I have stable Account where I hosted 3 websites including BloggingIO. So my advice is to choose Hosting based on your Disk Space Needs. Cheap and low-end hardware isn't something you will find here. All the servers run premium Supermicro hardware with RAID-10. Need CentOS? Fedora? Debian? Ubuntu or even Windows? they have plenty of flavors to choose from. They use KVM technology, no more sharing memory and CPU resources with your neighbors. You have guaranteed CPU, memory and disk space allocations. We stand by our uptime guarantee. There's a reason they're called Stable Host, right? Got Backups? Yes.They offer a service to automatically backup your VM nightly if you don't want to. Not ready to manage your own server? Let the professionals handle it – we can manage your server for you at a small additional cost. I have explained step-by-step Procedure about How to Buy Shared Web Hosting. I suggest you go with Unlimited Pro where you can host unlimited domains. #3 Use code kickstart19 and get 40% OFF on final Price. Check the below screenshot for proof. StableHost exceptionally Good at Hosting WordPress sites and You can start your site Fear-Free. Don't forget to use code MYCYBERINCOME40 to get FLAT 40% OFF on final price. Since you suggest three hostings , what will you choose regarding speed and price ? I am using their service for past 15 days and i am happy with it. Thing is i often get 503 error and when i raised a ticket they said my forum spikes a lot which i don’t know why. It didn’t happen in the previous forum. I replied at your previous comment for solutions. Nice review on Stable host. Thank you for this. what is the plugin that you are used for rating this host at the bottom of the post? Which one you like best for your website, why and which CMS platform do you use.